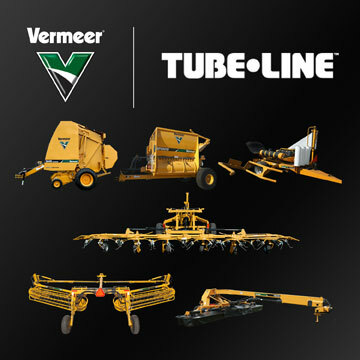 Vermeer Corporation has announced a new partnership agreement with Tubeline Manufacturing, headquartered in Ontario, Canada. Under the new agreement, Tubeline will help to expand the Vermeer full line of hay and forage tools to better serve customers in the provinces of Ontario, Quebec and Maritimes. Tubeline sold their first inline bale wrapper in 1995. With manufacturing facilities located in Elmira, Ontario, Tubeline specializes in the development, manufacturing, distribution and sales of hay handling and processing equipment. Their South-Central Ontario location places them in an ideal location to warehouse equipment and parts for channel fulfillment.